What Casual Runners may not know they need until they REALLY need it! When I started my Casual Running adventure, I received 2 pieces of advice that I did not quite fully understand for some time. The first was to ditch all of my cotton running gear. The second was to get me some Body Glide. The first piece of advice was easy enough to understand, I mean, running gear is pretty darn cool these days. And any excuse to shop for sporting goods is fine by me. As to the second, I was confused, after all, what the heck is this Body Glide stuff? Needless to say, I ignored said advice, and I regretted it. Body Glide, in short, is an anti-chafing balm that has become somewhat ubiquitous in the Casual Running and triathlon communities. 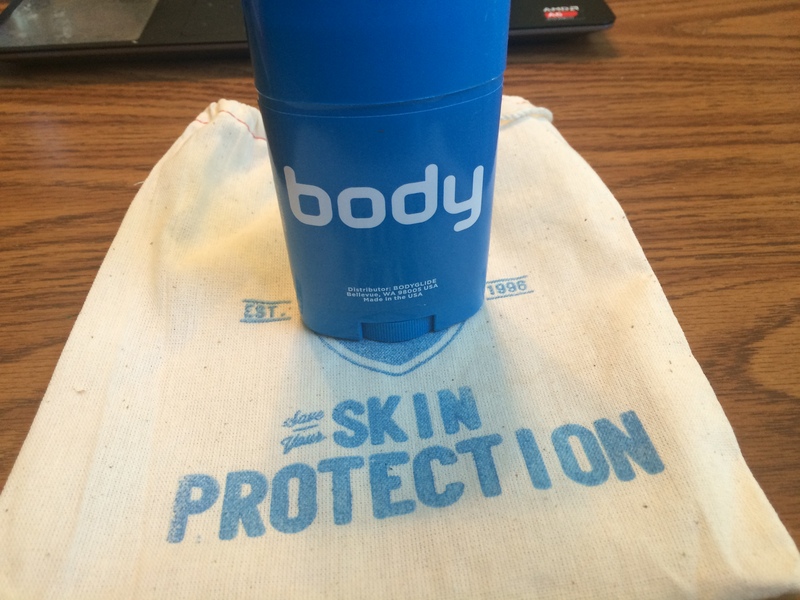 Both the product itself and the container that it comes in very closely resemble deodorant and utilize the same application process. WARNING: because of this, you have to be very careful not to mix up the two in the early morning hours on race morning or the results will be, well, potentially very uncomfortable. Beware of the infamous bloody sock! 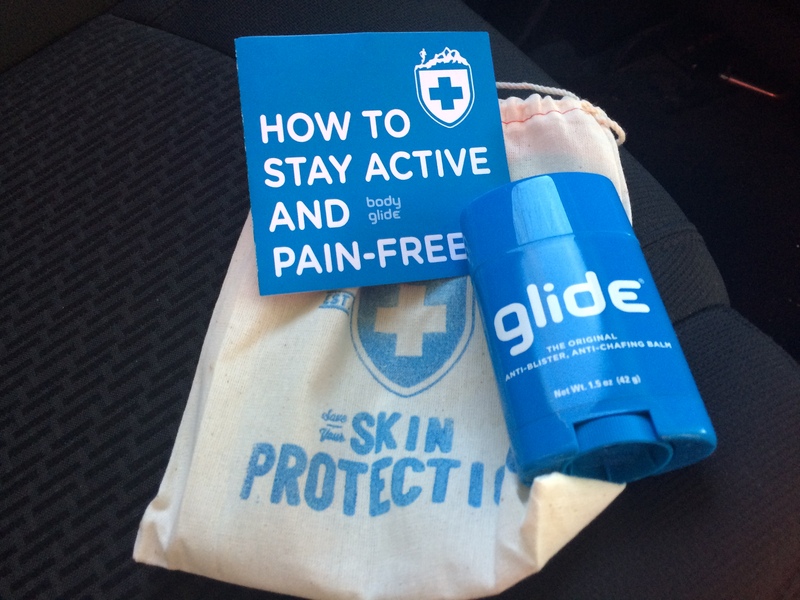 So, with that kind of endorsement, and the follow-up questions we received from our readers on that post, we HAD to dedicate a full product review to Body Glide. Additionally, avoiding chafing and other such unpleasantness during your runs is important to your continued enjoyment of your Casual Running adventure. So here it is. Starting a race, or a long training run, is far different than ending one. At the beginning, you feel strong, you feel confident. At the end, you feel amazing and accomplished. However, in between those two feelings, during the run itself, you are going to sweat – a lot – and your clothing is going to move around – a lot. This means that, even though you may not be thinking about it at the beginning of your run, by the end of your run you may experience the unfortunate and uncomfortable after effects of a whole lotta chafing that went on during your run. And that is just from your clothes making contact with you skin, we haven’t even spoken about the contact from shoes, socks, wetsuits (for triathletes) and even skin on skin contact. Body Glide to the rescue! Ok, melodrama aside, this really is the simplest solution to one of Casual Running’s most annoying problems: chafing. All you do is pop off the cap (see just like deodorant, hopefully you know how to use deodorant). Please, please tell us that you know how to use deodorant! You then roll up the stick to expose more product, and start applying it directly to your skin (again, just like deodorant). 8) For you triathletes, anywhere the thick seams of your wetsuit and/or tri-suit will make contact with your skin (wrists, neck, ankles, etc.). If this sounds like a lot, it is. But Body Glide is colorless and pretty much odorless (not like anyone else will smell you in a starting corral with 1,000 other runners) so feel free to apply it liberally. You will want to apply Body Glide before you are dressed, so your hotel room will become Body Glide application central. I find it helpful to use a mirror to ensure that I get full coverage of the necessary areas. I will be honest with you, Body Glide is one of those products that you will not appreciate the full value of it when you use it properly and it works properly. 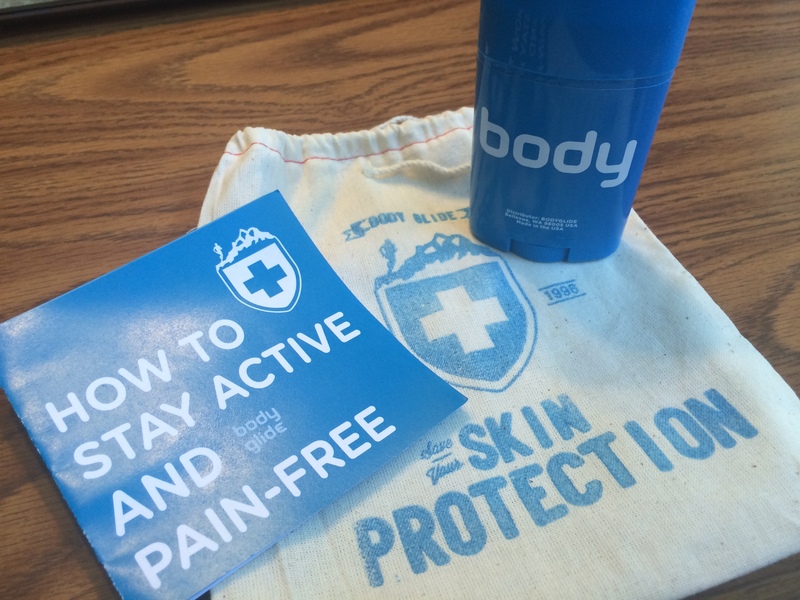 It is only when you screw up and forget to apply it to an area that, over the course of a long run, swim, bike, or race, becomes irritated or chaffed to the point of discomfort or pain, that you truly appreciate the benefits of this product. When you use it properly, you will finish a run not even thinking about it, and yes, that means that it worked! In trying out this product, I applied it prior to several runs where I specifically wore different types and combinations of tank tops, shorts, compression shorts, and socks. Regardless of the kit, I found that, as long as I took the time to apply Body Glide properly, I ended the run feeling as fresh and “un-chafed” as when I began. 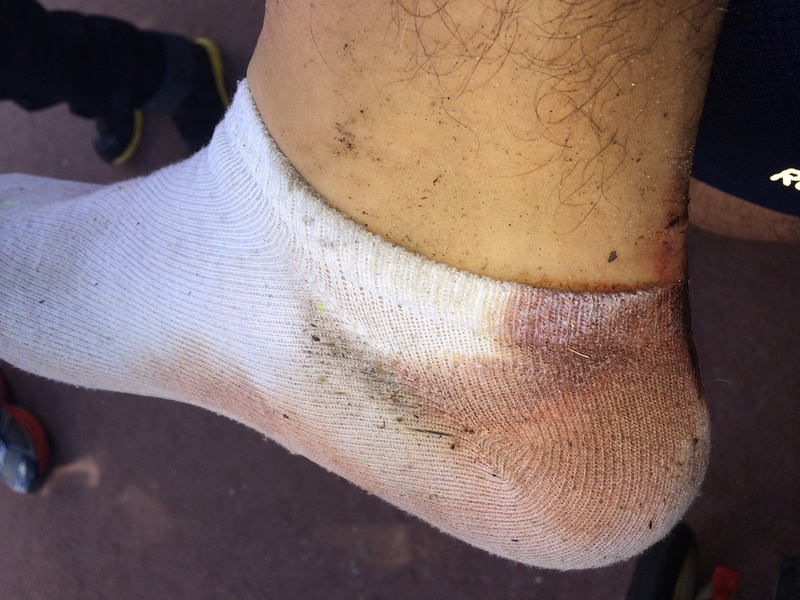 Now, this is not to say that I need Body Glide for every training run, and most training runs where I did not use it I came out feeling fine, the problem is that I never know when those are going to be. Additionally, I find that the longer I run in a single session, be it a race or training, I am more prone to chafing. So, I guess I am recommending the better safe than sorry approach. You never know when you will need it until it is too late, so it is better to go ahead and just use it before your runs, in other words, before you know whether you will need it or not. Now, if there is one caution I have with Body Glide it is that, while it is extremely easy to use, it is susceptible to human error. Because the product is so good and goes on so cleanly, you often cannot tell where you have applied it to and where you may have missed a spot. Trust me, this is not something where, at the end of a long run or race you want to be reminded that you “missed a spot.” Thus, I would recommend developing an application routine, and sticking to the same routine before every run, this way you can be sure that you hit all of the necessary areas. I tend to start from the top and work my way down. I also work from left to right. It may seem weird at first, but it means that I do not miss a spot, which means that I will not have any regrets when my run is done!